his marriage for a younger woman and gets caught stealing money from the campaign. Everyone hates Colby for finding out and blowing the whistle on him. From a mansion, they end up in a poor relative's trailer, where her mom's contempt swells right along with Colby's supersized jeans. Then, a cruel video of Colby half-dressed, made by her cousin Ryan, finds its way onto the internet. Colby plans her own death. A tragic family accident intervenes, and Colby's role in it seems to paint her as a hero, but she's only a fraud. 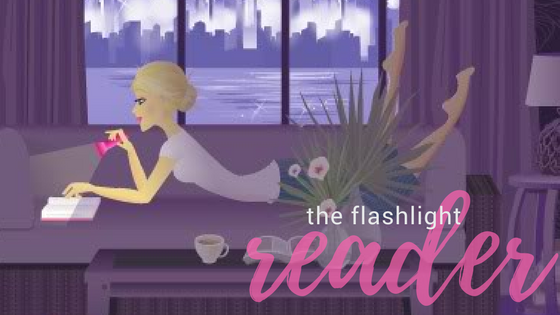 Finally, threatened with exposure, Colby must face facts about her selfish mother and her own shame. Harrowing and hopeful, proof that the truth that saves us can come with a fierce and terrible price, Big Fat Disaster is that rare thing, a story that is authentically new. Sometimes there are books that you come across that completely surprise you in the most pleasant of ways. 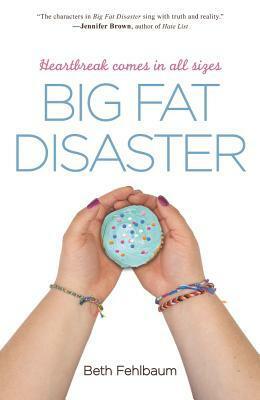 Big Fat Disaster is one of those books that blew me away. In fact, I found myself so caught up in Colby's story that I stayed up until the early hours of the morning finishing the book. The synopsis gives away the major points of the plot, but this book is full of secrets. Colby's voice was so raw and uncensored that I found myself going from tears to laughter in a flip of a page. She is the voice of a broken, lonely teenage girl with an eating disorder. While I cannot relate to her on that level personally, she spoke to me. Her actions were so real. I found myself at times so caught up in the emotions that she provoked that I cried. And I don't mean a few tears; I'm talking about the kind of outpouring that causes your throat to close up and your tongue to feel too thick for your mouth. Crying that leaves you gasping for your next breath. Colby is painfully honest, and it's heartbreaking. Obviously, Beth Fahlbaum does a fantastic job of showing what it's like to be like Colby. Her characterization was spectacular. All of the characters that surround Colby have unique roles and stories to tell, and they come across loud and clear. Dr. Matt makes a face. "You're much more than your body. You know that, don't you?" "I'm getting there. Every day, I get closer to who I want to be." He leans forward in his chair. "And who's that?" I look down, notice that I don't have a pillow in my lap, and smile. "I just want to be me: Colby. A person who wants to live." I HIGHLY recommend this book to young and old alike. It might have some mature content for the tween ages, but 8th grade + can handle it.